The Basic Entry Steps offer easy entry and exit of the Portable Baptistry. 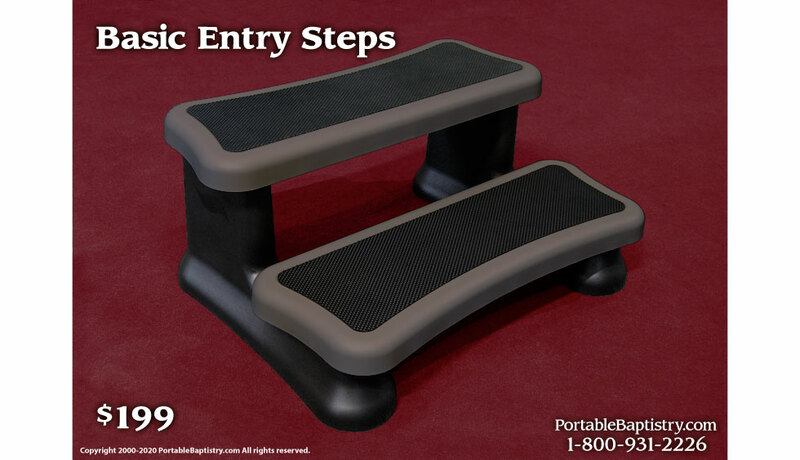 Made of sturdy molded plastic, these Steps are lightweight and highly portable. These Steps also serve as an affordable second set of steps that churches often add for exiting on the opposite side of the Baptistry. Note: The Basic Entry Steps are not compatible with the HandRail.